Welcome to the 9th annual Wednesday Wishlist post where the topic is getting restaurants in San Jose worthy of Michelin starts. The Michelin guide is the most renowned rubric in the world for measuring culinary success. San Jose's first and only Michelin Star restaurant, Adega in Little Portugal, retained the honor for a second year. I will also have some big news related to Adega later this year. There are also restaurants in the Michelin guide that do not get a star, but are considered "Michelin Recommended." This is already a significant honor that a very small percentage of restaurants achieve. Within this category San Jose scored a total of 6 restaurants, which is significantly down from last year but it seems like the guide has trimmed the number of recipients throughout the Bay (the book was trimmed by 70 pages this year). I created a Google doc listing all of the star recipients for 2018, along with tabs for all previous years and some general statistics. Below is an image capture from the doc. This year there were a total of 55 restaurants that were awarded Michelin stars, which is up 1 from last year and an all-time high for the Bay Area. 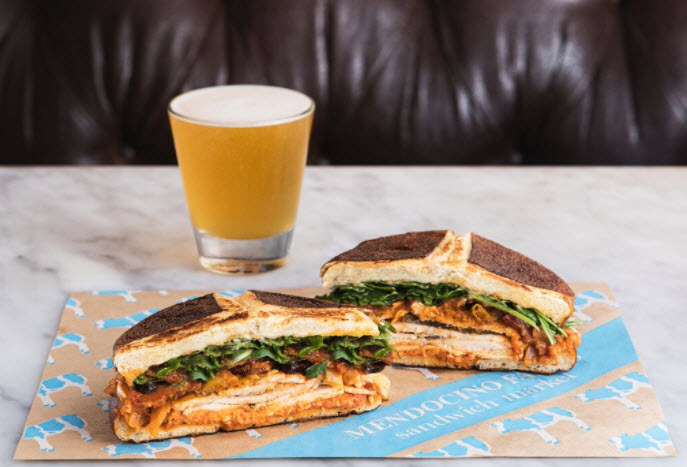 60% of the restaurants are locating in SF, 20% in Wine Country, 18% in Silicon Valley (split evenly between the South Bay and the Peninsula), and 2% in the East Bay. Silicon Valley is nearly tied with Wine Country when it comes to number of restaurants with stars. There are 5 new restaurants on the list for 2017 and 4 from last year that did not make the cut or were closed down: Aziza, Mosu, Nico, and Solbar. The Michelin Recommended restaurants that we lost over the past year were Vung Tau, Swaad, Zona Rosa, Smoking Pig BBQ, Bun Bo Hue An Nam, and the Table. I'm a bit surprised about some of those but hopefully they will be back next year. I'm also optimistic that Adega will inspire other San Jose restaurants to go after stars! The Coleman Highline office project next to Avaya Stadium just scored an anchor tenant. 8x8 has reserved the entire first building, which is 162,000 SQFT. 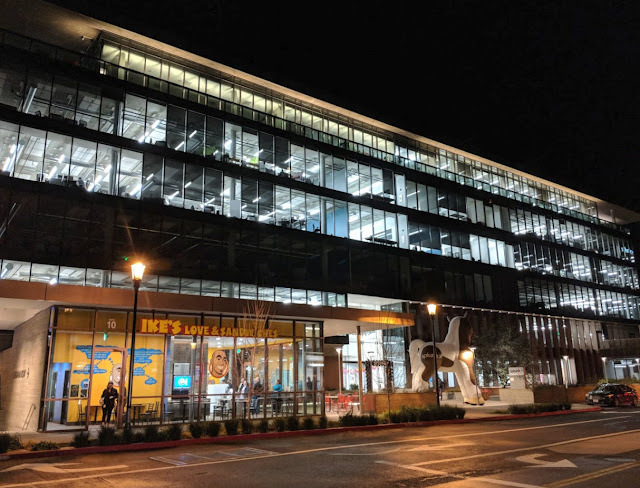 This is a 22,000 SQFT upgrade over their current headquarters (also in San Jose) with lots of room to grow in the future. The entire Coleman Highline project will take up 1.5 million SQFT, all connected with aerial walkways. The first phase of the project should be ready by early 2019. Now that the legal battles between San Jose and Santa Clara around development are over, Federal Realty--the developer behind Santana Row--is resuming work on their next major project. 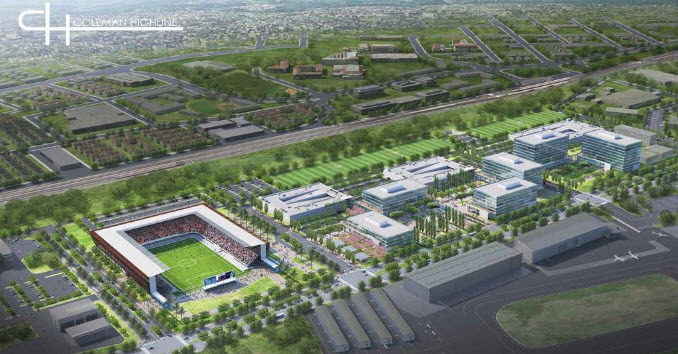 The Silicon Valley Business Journal go their hands on some impressive renderings of the 13 acre project. 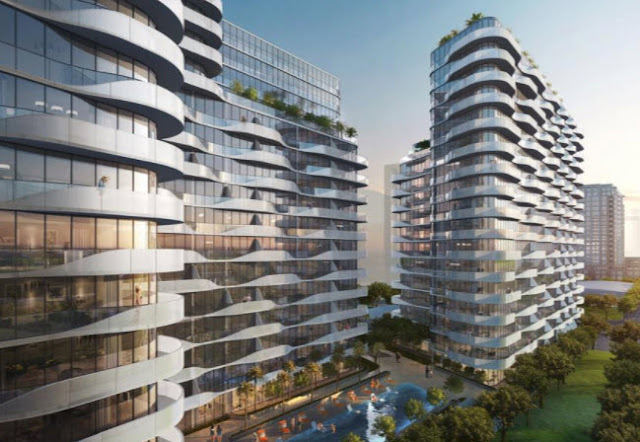 It looks like it will be one massive building covered entirely with outdoor green space. The Century 21 building would somehow be incorporated into the project, but how is not yet clear. 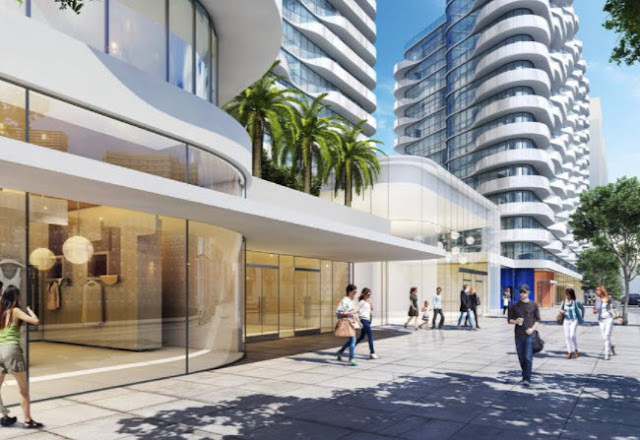 "Santana West" is build-to-suit, meaning they are not planning to move forward without a committed tenant. If all goes well, we will have another flagship office building in 2019 or 2020. SAN JOSÉ, Calif. (Feb. 23, 2018) – Team San Jose recently launched a new website in partnership with SVCREATES leading as an event based platform focused on promoting the City of San José to locals and visitors. As part of the website launch, Team San Jose has also announced that it will move ahead with a new consumer brand as Visit San José. 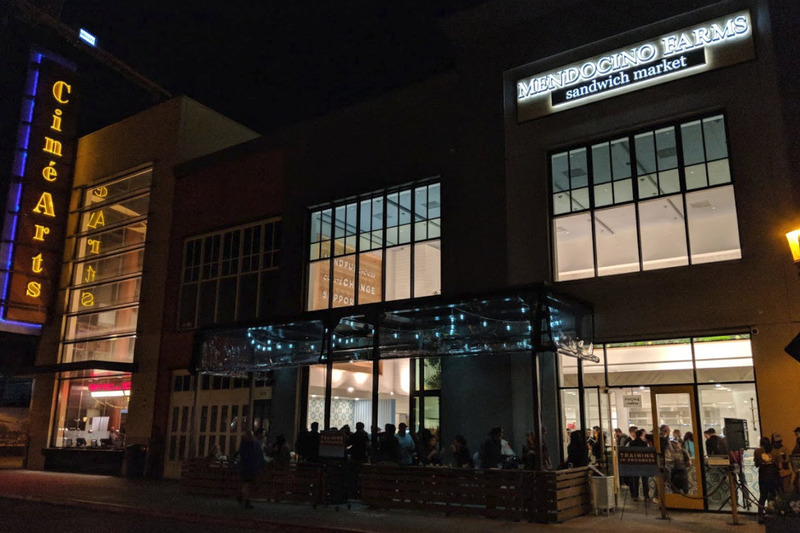 In addition to promoting the McEnery Convention Center to potential clients, the website will serve as an outlet where local storytellers can share their favorite aspects of San José. The new platform includes refreshed content and images, custom engagement and increased focus on mobile users seeking up to the minute information. 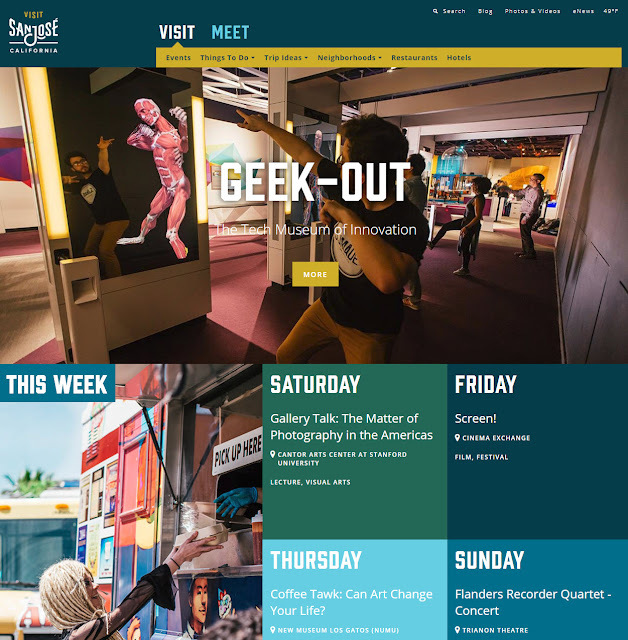 As part of the new website, Team San Jose partnered with SVCREATES to develop a unified events calendar where arts organizations can promote their events to local and visiting audiences. In addition to the new website, Team San Jose has unveiled a new consumer brand, an adaptation of the City of San José’s Office of Economic Development ‘San José’ identity project. Visit San José now becomes Team San Jose’s official consumer facing brand, which will be used to promote the destination at convention functions, client events and throughout the travel industry. Team San José (TSJ) is an innovative partnership unifying the San José Convention and Visitors Bureau, hotels, arts, labor and venues to deliver an exceptional visitor experience. 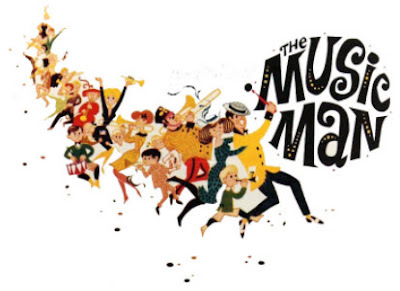 TSJ manages the San Jose McEnery Convention Center, California Theatre, Center for the Performing Arts, City National Civic, Montgomery Theater, Parkside Hall, and South Hall. 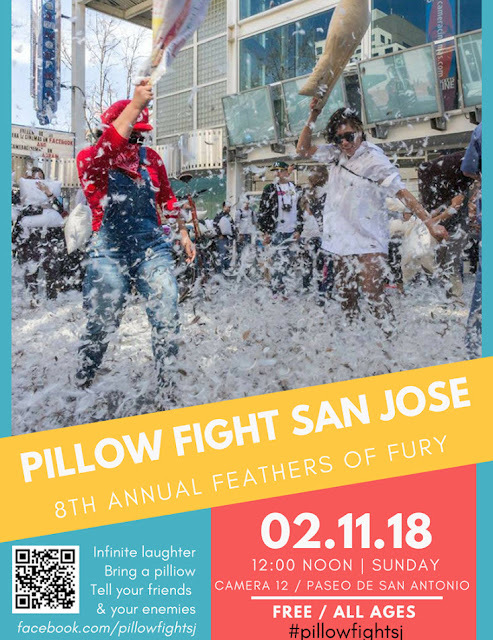 For more information, visit www.sanjose.org. The San José Office of Economic Development is committed to a vital, competitive San José economy that increases prosperity for people and companies. OED guides the city's economic strategy, provides assistance for business success, connects employers with trained workers, and provides art and cultural resources to our community. For more information, go to http://www.sjeconomy.com. 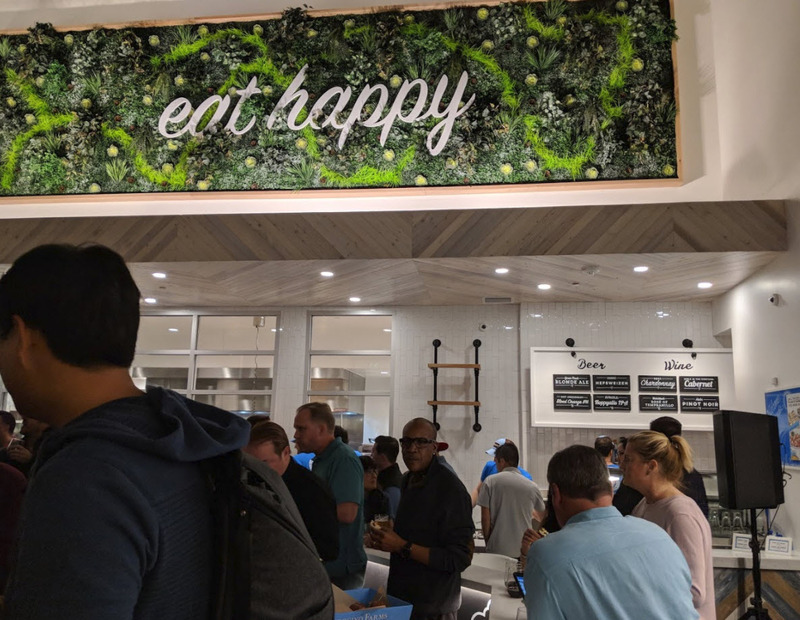 On the ground floor of Splunk's Silicon Valley headquarters at the very end of the row, you will find a lonely-looking Ike's Love & Sandwiches. 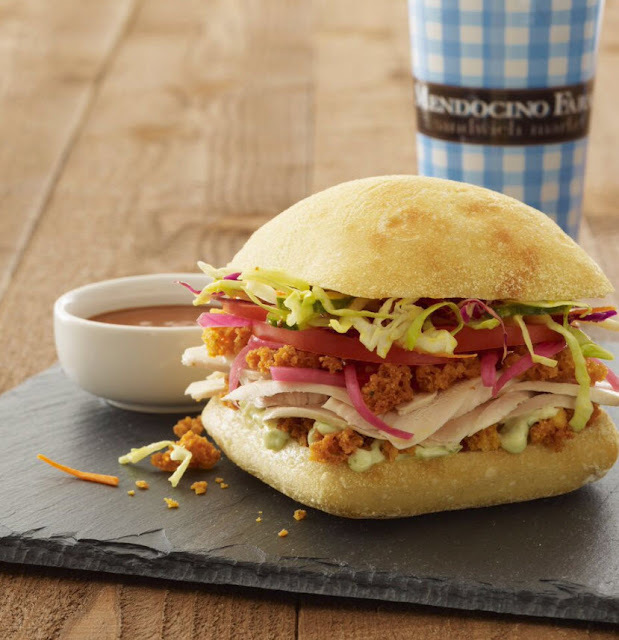 While easily one of the best sandwich chains in the Bay Area, I have to feel a little bad for them with Mendocino Farms literally right next door. The placement of these two sandwich shops is questionable, but I'm sure there will be enough business for both. 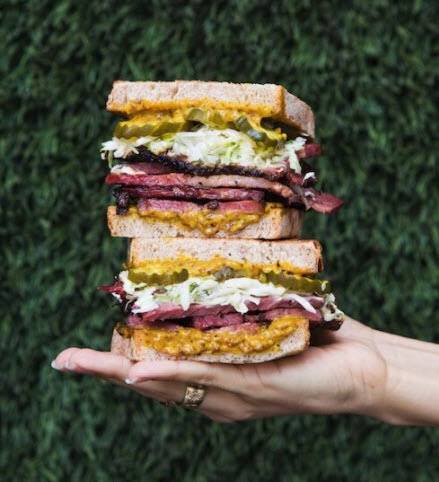 While I love Ike's I would have a hard time choosing them over their neighbor. I feel a turf war coming on. A bold new hair care shop is opening in the heart of Downtown on March 2nd called Bishops. It will be located at 1 S. Market in the shiny blue "One South" apartment building. The atmosphere is laid back with music videos playing the the background and patrons over 21 even get a free beer to accompany their haircut or color. Starting March, the shop will be open 9:00am-9:00pm Monday through Saturday and 9:00am-7:00pm on Sundays. Oh, and to celebrate their grand opening Bishops will be throwing a party on February 28th with a local DJ, drinks, and giveaways. For more info, check out the press release below. 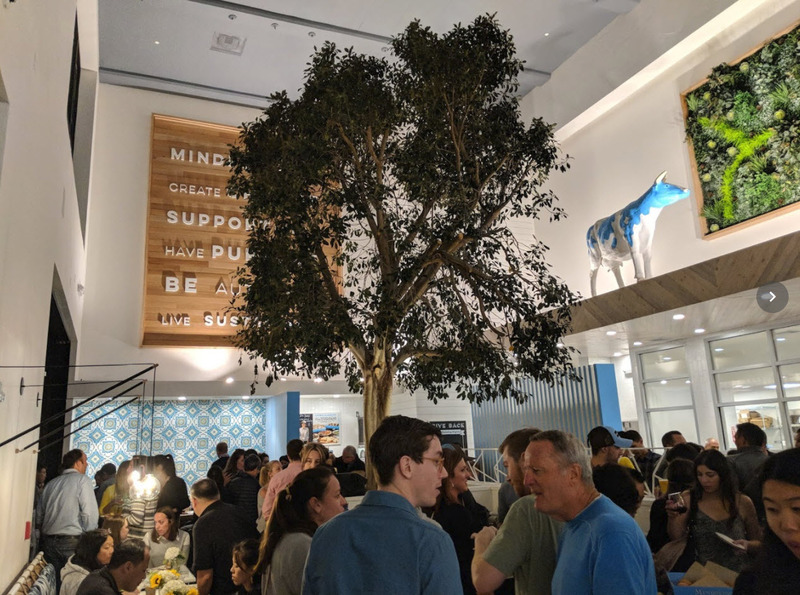 The future of self-care expands to San Jose! San Jose, California 2/15//2018- Bishops, a unisex hair care shop from Portland, OR announces its first location opening in San Jose, which is the company’s second location in the greater Bay Area. The brand fosters a culture where people can be “different together”. Offering a full menu of cuts and color, the new shop will empower local residents to act boldly and feel more confident in their individuality. 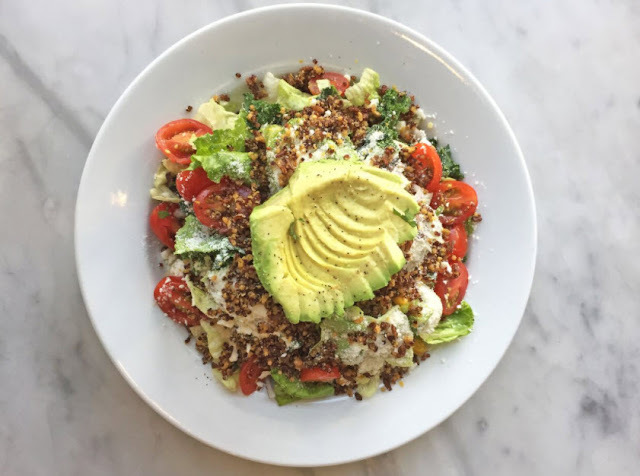 From a-la-carte pricing to an unpretentious staff, Bishops is all about accessibility to self-care. In order to celebrate the March 2nd opening, locals are invited to an in-store grand opening party featuring a local dj, drinks and giveaways on February 28th. With a counter-cultural heritage and a contemporary aesthetic, Bishops is serious about hair and irreverent about most other things. 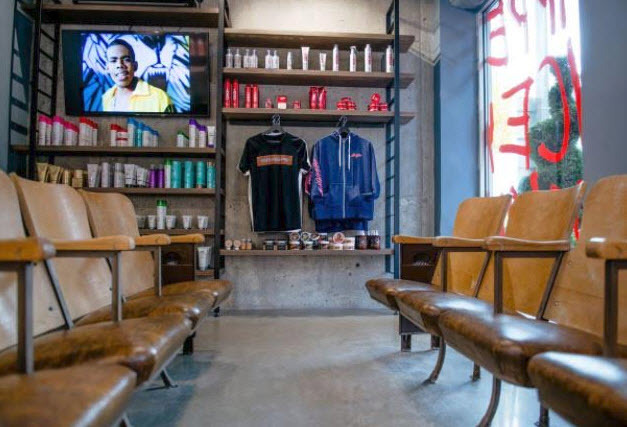 CEO Leo Rivera says, “This is more than a place to get a haircut, it’s a full-on experience.” Customers can expect a laid-back atmosphere, enjoying early MTV-style music videos on the specially curated Bishops TV platform while sipping a free beer (for those over the age of 21). The new shop showcases a vibrant art exhibit. Community impact is a key part of Bishops and the company plans on being as involved with the San Jose community as it always has been in its hometown of Portland. Retro style barbering chairs are now ready for services from 9:00am-9:00pm Monday through Saturday and 9:00am-7:00pm Sundays. WHERE: 1 S. Market St. Originally opened in Portland, OR in 2001, Bishops offers an a-la-carte menu of services on a walk-in basis for affordable prices. With shops currently in 8 states and more on the way, Bishops is emerging as a national presence in hair care. Bishops has always been about giving back and over the past couple of years, has donated well over $50,000 in cash or services to schools or non-profits like Bradley Angle, American Diabetes Association, Leukemia & Lymphoma Society, and many more. Bishops has partnered with a renowned collection of hair care companies to offer top of the line services and products to clients and stylists alike. We proudly carry the globally recognized Schwarzkopf Professional product and color lines. We also carry Pulp Riot, an innovative new color line that’s gaining traction nationally. To aid in styling shorter hair, Bishops proudly carries both Joe Grooming, a natural, organic line, and Suavecito, a well-crafted rockabilly line out of Southern California. A final decision on BART's subway path beneath Downtown should come in the next few months, with construction starting as soon as 2019. 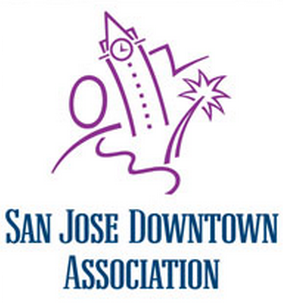 The SJDA is strongly advocating for a single bore tunnel which would allow the subway to be built without digging up all of Santa Clara Street. Construction has began on San Pedro Squared which will bring four micro-retail spaces to the ground floor of the Market-San Pedro Garage [Josh: awesome!]. Heroes Martial Arts has moved across the street to 450 S. First St.
Nox Cookie Bar is now open at 151 S. Second. Vietnoms is bringing modern versions of classic Vietnamese dishes to SoFA Market. The 47-room Plaza Hotel opened in January to homeless awaiting more permanent housing. TMG Partners and Valley Oak Partners unveiled plans for a 1 million SQFT office at 440 W. Julian. Cinequest returns Downtown from Feb. 27 to March 11th. The San Jose Jazz Winter Fest takes place from Feb. 15-28. 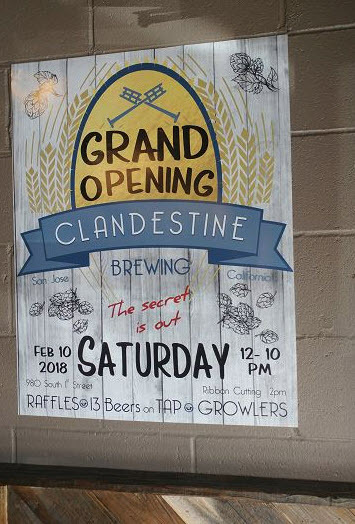 A new artisinal brewery and taproom just opened on 908 South First Street. To be clear this is South, South First--as in beyond 280 just outside of the Downtown Core. I recently drove around this area and honestly had no idea how many businesses were just blocks away from SoFA. The freeway is an unfortunate psychological barrier, there is a ton to discover in this neighborhood including quality restaurants. Anyway, back to Clandestine Brewing. 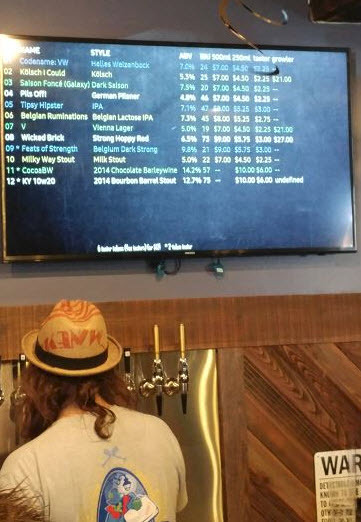 They feature a number of interesting beers with even more interesting names such as Pils Off, Wicked Brick, Tipsy Hipster, and Milky Way Stout (my favorite one of their beers). They feature about a dozen brews at any given time, most of which you can even take home in a growler. The taproom has plenty of space, including outdoor seating. It's a huge upgrade from their original 1,200 SQFT hidden in an industrial complex. 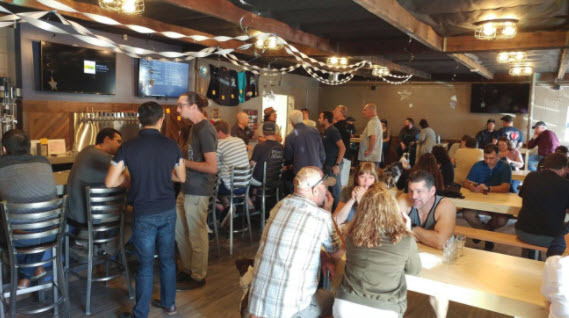 With Clandestine, Strike, Santa Clara Valley Brewing, Hermitage, and Uproar within all within a 3 mile drive, we now have a respectable craft brewery district in San Jose. 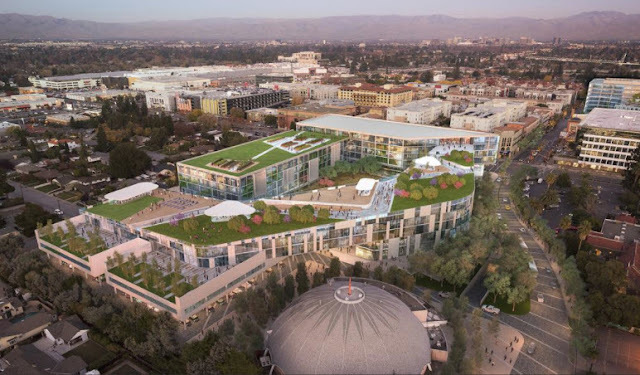 It looks like we are just getting started when it comes to new high-density projects in Silicon Valley. 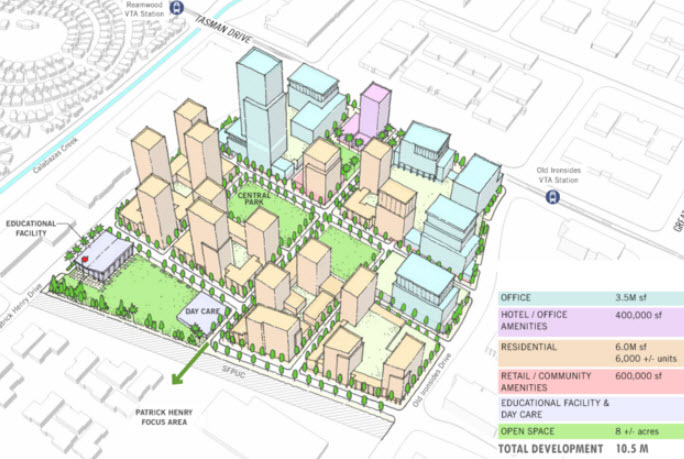 Two developers are now proposing twin 18-story residential buildings called Davidson Plaza Towers on a two acre plot at 255 W. Julian Street, currently the site of the six-story Charles Davidson Building and a parking lot. The project would have 653 market rate units, 10,000 SQFT of ground floor retail/commercial space, and underground parking for 654 cars. It has not been decided if these would be apartments or condos yet, but the mix would be 125 studios, 282 one-bedrooms units, 211 two-bedroom units, and 35 three-bedroom units. Amenities include a gym, pet play area, and multipurpose room. 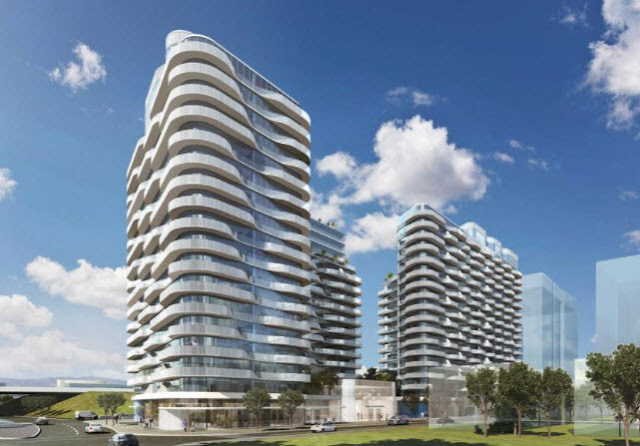 To continue a very welcome trend for proposed San Jose high-rises, they want to put one of the two swimming pools on the roof. This would all be across the street from Silvery Towers, two blocks away from the San Pedro Square Market, and one block away from the Highway 87 freeway entrance. It follows the connection between Luke and Leah, two lost souls searching for something meaningful in their quiet, mundane, suburban lives. Little do they realize they can find the potential for a great life in one another. Such Great Heights is a snippet into lives that aren't terribly uncommon or amazingly unique, and we think our audiences will see parts of themselves reflected back in the two main characters. "Such Great Heights" was shot and inspired by life in the San Jose Bay Area using all local talent and crew. You can watch the film over here. #WomenCrush Music is a non-profit dedicated to supporting rising female songwriters with showcases, workshops, and networking events. They are throwing their first event in San Jose on March 1st, 7:30pm at Art Boutiki (44 Race st.). The cost is only $10 and is a great way to support aspiring talent that could become the future leaders of the music industry. For more info, check out the press release below and head over here. You can also RSVP for the event (not required). 2018 is an exciting year for #WomenCrush Music. In addition to achieving non-profit status, the organization now has chapters in more than 10 USA and Canada cities, including San Jose! #WomenCrush Music’s mission is to support rising women songwriters by hosting showcases, workshops, and networking events, all while creating a safe and supportive community in each chapter. With a staff spanning coast to coast and the organization nearly tripling in size since its creation in early last year, 2018 is shaping up to be one for the books. #WomenCrush started with a local showcase in Portland, and the showcase remains a cornerstone of the organization even as it expands in size and gains momentum. The #WomenCrush team is especially excited to announce the debut showcases of its new chapters of 2018. Addressing the need for a safe space to perform new material and to connect with potential collaborators and mentors is more than just how #WomenCrush Music began. Encouraging women to find their voice and be inspired by other women is its core endeavor and its guiding vision. 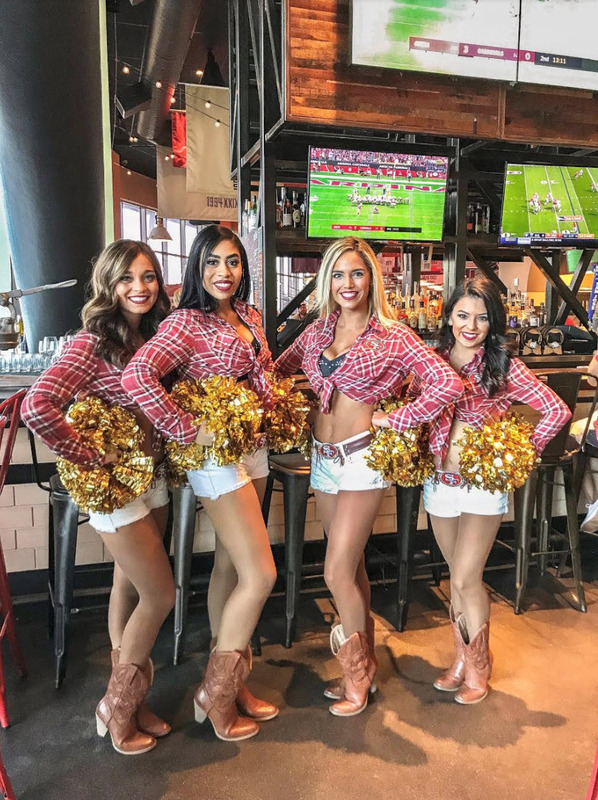 Now that #WomenCrush has added San Jose to its roster of cities, Krystal Beasley has joined the team as a Chapter Leader. Beasley helps organize and host events in the San Jose area, bringing the #WomenCrush message to artists in her city. 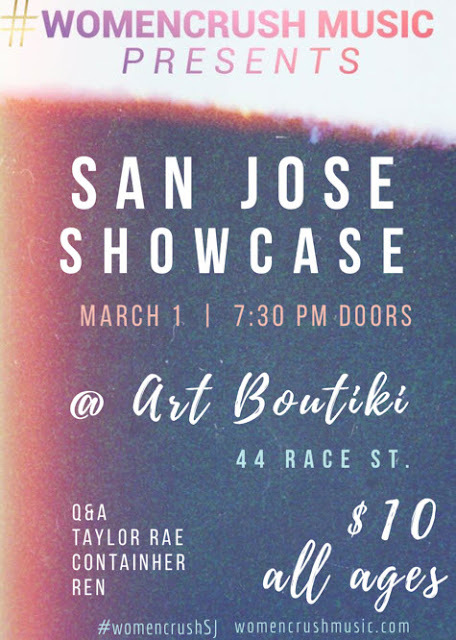 The first of these events is a showcase held on March 1st, at the SLG Art Boutiki & Gallery. Krystal is the Chapter Lead for San Jose & San Francisco. Born and raised in the Bay Area, she is extremely thrilled to showcase the massive amount of homegrown talent. “I love being a part of #WomenCrush Music because it provides a beautiful sense of community and creates opportunity for female musicians in a very male-dominated industry,” explains Beasley. #WomenCrush is also seeking media partners, in-kind donations, and financial sponsors to support the investment the organization makes in women musicians by hosting showcases, educational workshops and networking events. Additional funding will also support the operation and marketing of #WomenCrush Music as it continues in its efforts to connect, educate, and inspire. #WomenCrush Music serves to create opportunities for rising women songwriters, whether they are just at the beginning of their careers and want to start performing at local venues, or they have just released their second album and are ready to go on tour. #WomenCrush Music wants to connect artists with future collaborators, educate them about the business, and inspire them to make an impact on this male-dominated industry. 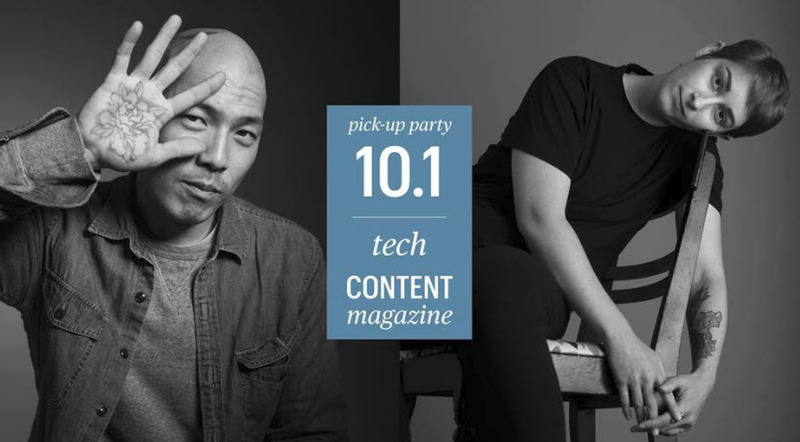 Content Magazine is hosting a party to celebrate their latest issues on February 20th (entitled "Tech") at Enoteca La Storia (320 West St. John St.), a hot new restaurant in Little Italy featuring traditional cuisine and an Italian wine shop. The event goes from 7pm-9:30pm and includes live music from featured artists such as Casey Wickstron and Artificial Lavender. Art by John Edmark Kelly Detweiler, Mr. Chen Lieuh Huang, and Laura Johnston will be on display. Subscribers get one free drink to kick off the night as well as an appetizer and entree to share (wow, really?). For more information, head over to the event's Facebook page. Last month, the city launched a new program called BeatifySJ that will provide micro-grants to 71 different community organizations. 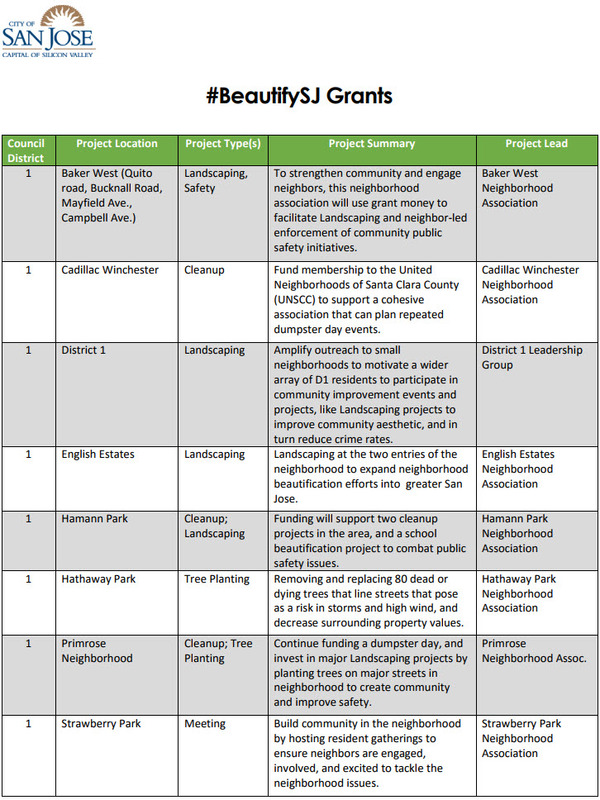 The goal is to make San Jose a better place by enabling grassroots and community organizations. 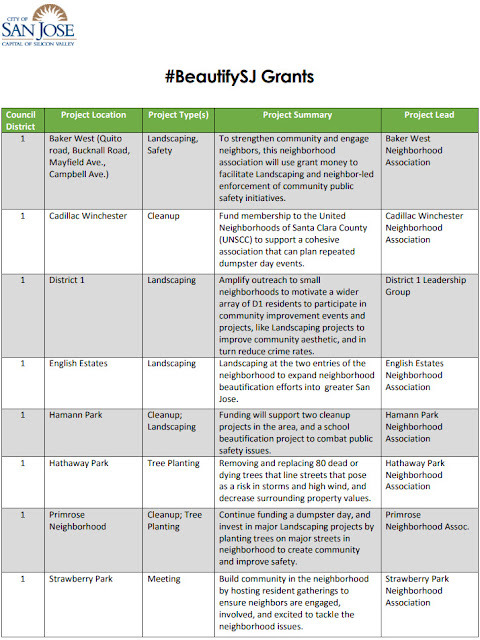 Grants will be $5,000 or less, which is enough to fund hundreds of projects from tree plantings to cleaning up graffiti. To see the full list of projects, head over here.